Juma’at El-Karama (Friday of Dignity) marks a turning point in Yemen’s revolution. The tragic events that took place on this day, when pro-government snipers shot dead fifty-three protesters and injured a thousand more, shook the nation to its core and propelled hundreds of thousands more to flock to the square in solidarity with their fellow citizens. Military officials defected and joined the protests. Members of parliament resigned and announced their support for the revolution. 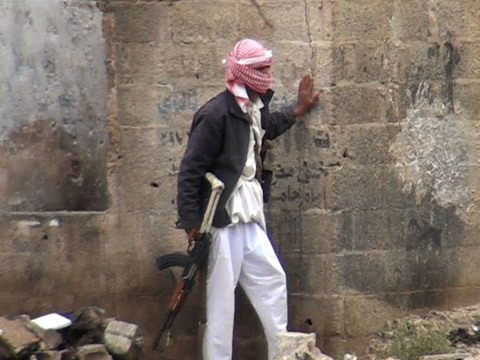 Southern separatists, northern Houthi affiliates, and apolitical Yemenis united. Entire tribes set aside their weapons, made amends with rival tribesmen and pitched up tents in the square in support of one cause: the liberation of Yemen from the shackles of a barbaric, oppressive regime. It gave the Yemeni nation a sense of responsibility toward their fellow citizens, particularly those who lost their lives on that fateful day. Sara Ishaq is a Yemeni-Scot who recently completed her MFA in film directing at the Edinburgh College of Art. Combining her interests in travel, social sciences, current affairs and film, she spent some time in the past few years volunteering in the occupied Palestinian territories and radio-reporting from Yemen, while documenting her experiences through video blogs. She has been involved in several BBC productions set in the Middle East, and in 2012, she released a documentary film about the Yemeni revolution, Karama Has No Walls, which was nominated for a BAFTA New Talent Award. She is currently completing a feature-length documentary called Father Land.